Micro, Grow & Bloom is a three part base feed from Advanced Nutrients that's been scientifically formulated for optimum control and vigorous growth and bloom for the indoor gardener. Advanced Nutrients three part feeds are PH perfect and now contains Wet Betty – which is an organic surfactant that lowers the surface tension of the water, allowing easier spreading and uptake of nutrients to your plants. 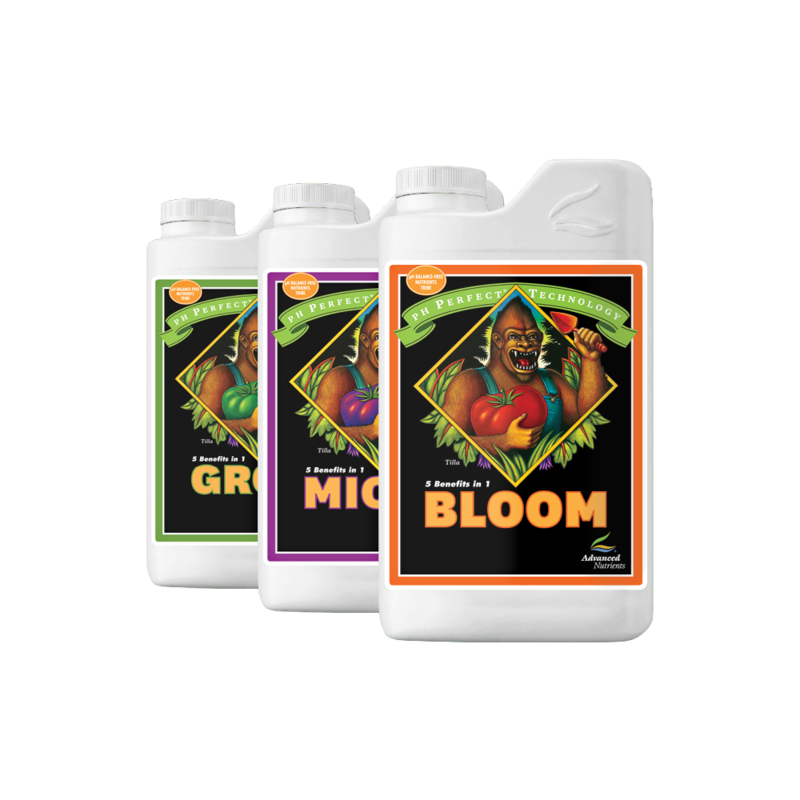 Grow, Bloom and Micro has added H-2 humic and F-1 fulvic acids which aid in the natural carrier compounds that transport nutrients and vitamins into the plants more efficiently, so your plants grow faster and have stronger cellular processes. The acids also gives quicker nutrient absorption, nutrient transport and more cellular metabolism! 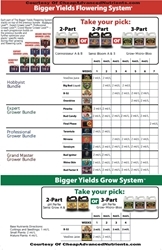 This three part from Advanced Nutrients is a high-potent nutrient set which will give your plants exactly what they need for fast, high powered growth and impressive finishing harvests! Advanced three part Grow, Bloom, Micro can be used with any and all hydroponic, aeroponic, drip irrigation, NFT, flood and drain and hand watering systems. 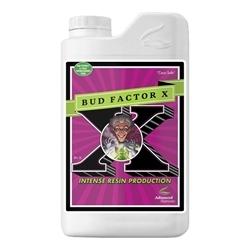 It is compatible with all growing mediums, including hydro, coco and soils. 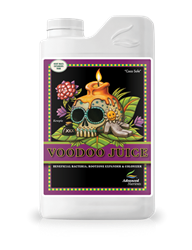 4ml per litre of all three components throughout the whole growth and flowering cycle. Advanced Nutrient's Big Bud is essentially a mild, early PK with added amino acids. 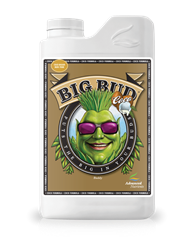 Advanced Nutrient's Big Bud Coco is essentially a mild, early PK with added amino acids. Its NPK ratio of 0-1-3 means that it can be added earlier (than say PK 13/14) giving your plants and early flowering boost. This results in fruits and flowers being larger, more potent and increases the size of your yield. 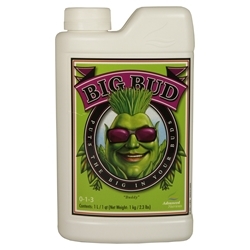 Big Bud is available in 1L. A big part of what makes a harvest considered high quality is the essential oil content. Essential oils go hand in hand with the aromas, flavors and resin contents produced by harvested plants. These essential oils and resins create the terpine profile in the plant material; the compounds that influence the plant’s natural fragrances and flavours.